Teaching Toward Activism – who speaks and acts? 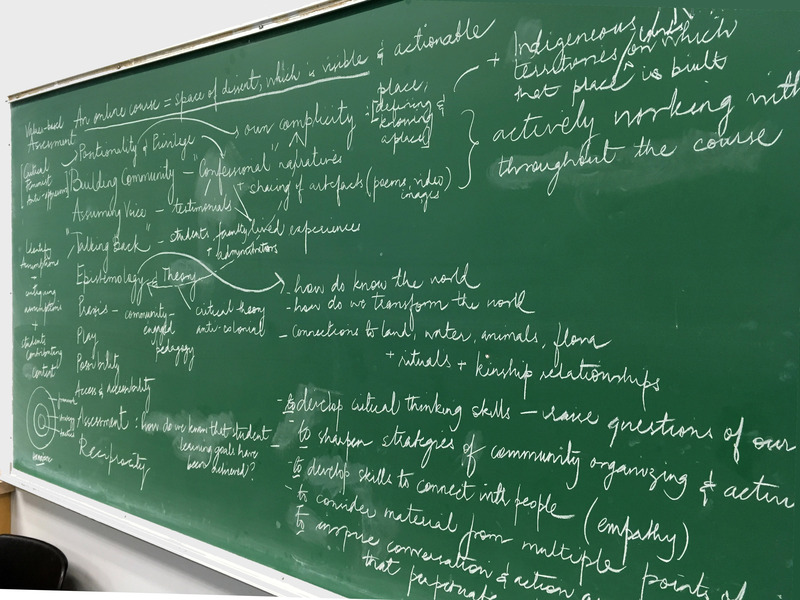 As part of our #DHSI18 “Critical Pedagogy and Digital Praxis in the Humanities” course, my classmates and I developed an online resource to inform the practices of collaborative “teaching toward activism.” Led by Dr. Chris Friend (Assistant Professor of English in the Department of Language Studies and the Arts at Saint Leo University), this weeklong seminar examined the social and political dimensions of digital pedagogy grounded in the Paulo Frierian notion of praxis and directed towards building community in and through diverse learning environments. Specifically, and intentionally, we took on questions of race, social justice, and DH from DHSI’s Week 01 to rethink the colonial histories of teaching and learning practices in and with the digital. Building upon these conversations; our in-class engagements with the writings of Audre Lorde, bell hooks, Paulo Friere, Jesse Stommel, and Cathy N. Davidson; and FemTechNet’s alternative to MOOCs, we created a meta-MOOC to assist educators and institutions create sites of resistance and offer students an experimental space to make plans and take action. “Teaching Toward Activism” serves as a heuristic and set of actionable steps for folx committed to place-based and community-oriented justice work. This resource outlines approaches that could be adopted and adapted for honing the agentic capacity of learners across professional roles. * Special thanks to project collaborators: Rosa Rivera Furumoto (California State University), Helena Maragou (The American College of Greece), and undergraduates Quetzalli Enrique and Enrique Ramirez Jr (California State University) for this collaboration.